Struggling HTC is looking to win back burned customers with the prompt unveiling of the One A9, a revised flagship that follows the disappointing M9 seven months later. The Taiwanese company unveiled the One A9 at a launch event held overnight in New York. It is the first smartphone to be running Android Marshmallow, beyond Google Nexus smartphones, and it adopts styling perilously familiar to the iPhone 6s. The ailing company is hoping its look-alike phone will improve its competitiveness. 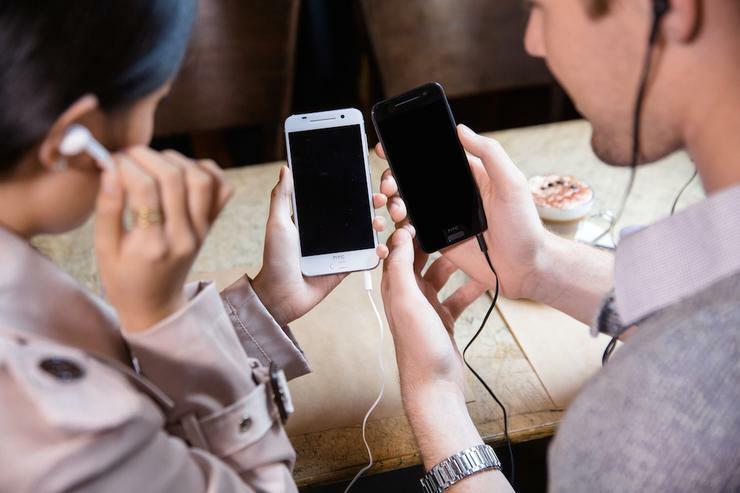 HTC’s Australian marketshare slipped from third place to be overtaken by rival Sony in the first half of 2015, according to research firm Telsyte. Hallmark materials hint at the One A9 being an HTC smartphone. Its frame is still forged from metal and it continues to wear a brushed hairline finish. Soft corners, plastic insets and the styling of the camera echo principles popularised by Apple’s iPhone. The past three HTC smartphones packed the same Full HD display. The 5-inch screen of the One A9 retains the same resolution and 441 pixel-per-inch density, only it uses a next-generation AMOLED panel. Changes have been made to the smartphones primary camera. The older M9 shipped with a 20MP camera that was widely criticised. The One A9 will capture photos at a smaller 13 megapixels, but it does come with optical imaging stablisation and it take photos in the popular RAW standard. Computing hardware follows a philosophy popularised by Apple. Powering the A9 is a Snapdragon 617 chipset, which combines a 1.5GHz quad-core CPU with a 1.2GHz quad-core CPU. Two configurations of the smartphone are being manufactured. The first has 16GB of internal storage and 2GB of RAM, while the second has 32GB of memory and 3GB of RAM. HTC has yet to confirm which variant will ship to the Australian market. Both models will take microSD cards up to 2GB in size. Introduced in the A9 is a finger scanner and a battery compatible with fast charging. The battery is integrated into the smartphone and it has a capacity of 2150 milliamps-hour. HTC has not yet revealed the pricing and availability of the One A9. PCWorld is awaiting comment from local Australian carriers.